Office warfare is a thing. Though we are not sure if it still is since the resurrection of Pokémon. 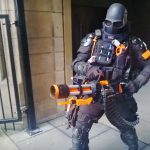 Assuming it still is, the obvious ‘weapon’ of choice would be NERF and with NERF, firepower is everything. 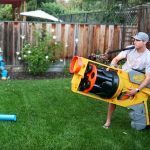 That said, if you find yourself losing every single time, then perhaps you are not putting enough foam darts downrange, which means your foam dart-spitting firearm is in dire need of a serious upgrade, such as, for example, turning a run-of-the-mill NERF Vulcan into a Gatling Gun. Yep. 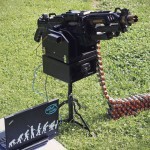 A Gatling Gun otherwise known as a minigun and why not? 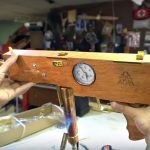 If you really think about it, it makes perfect sense since Vulcan has almost everything to make a proper functioning rotating multi-barrel machine gun; it has the feed, it has the the front grip and it is electrically powered. 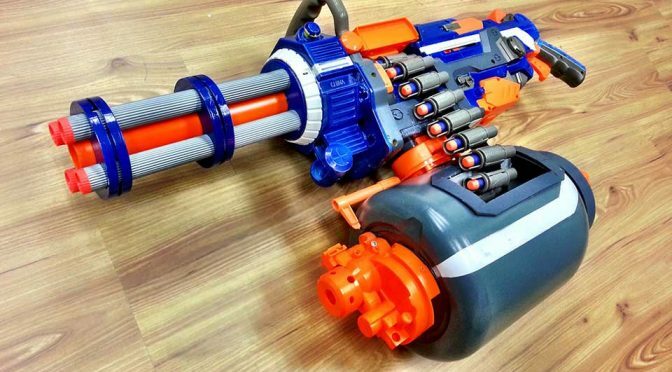 It is like it was destined to be a Gatling Gun, which was exactly what avid NERF tinkerer Darryl Chung from Malaysia did. 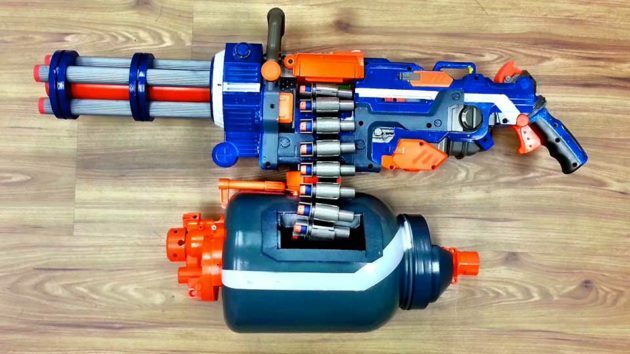 The video was posted by NERF enthusiast group BlastAway.eu with virtually no description and therefore, we have nothing to offer beyond an awesome video, which you can find after the break. Images: Screengrab via YouTube video. 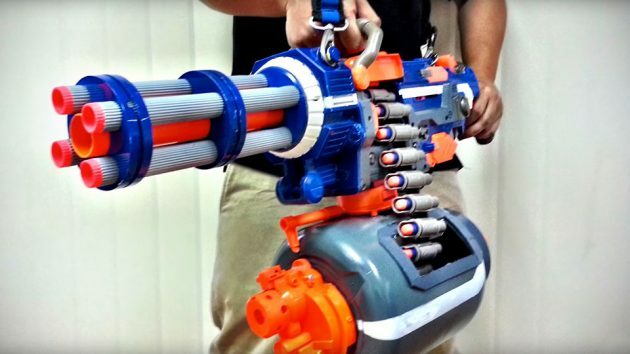 This DIY NERF Rival Minigun Spits Out Foam Balls At 20 Rounds/Sec!